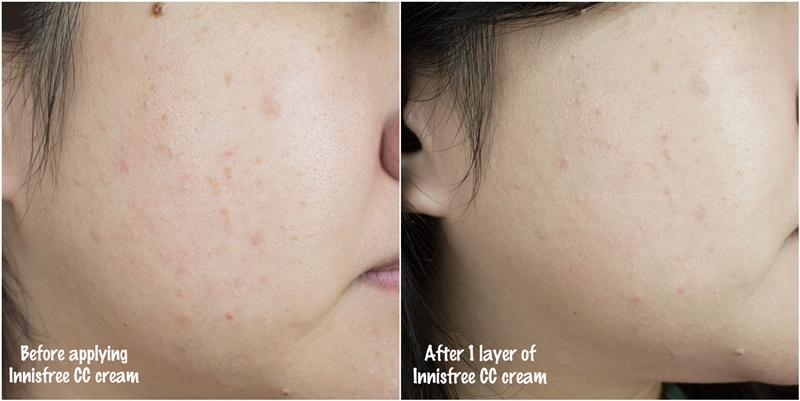 Okay, to start the review, I'll go with the Innisfree CC cream. 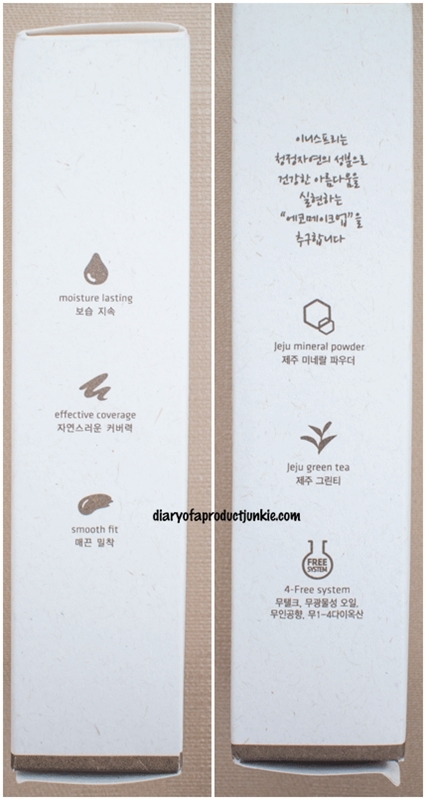 Now, Innisfree is a Korean brand that is famous for their ingredient that is 'harvested' over at Jeju island. 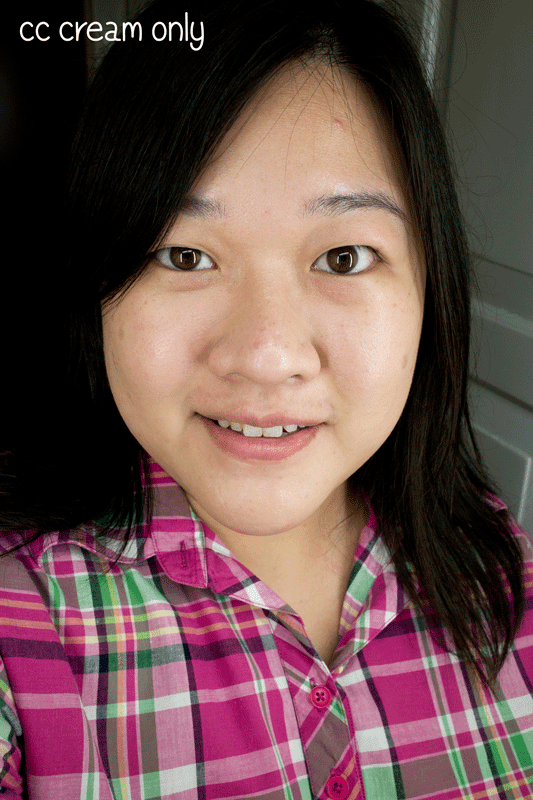 I used their Green Tea serum and BB cream once, but it didn't do much wonders to my skin, so I skipped reviewing it, lol. 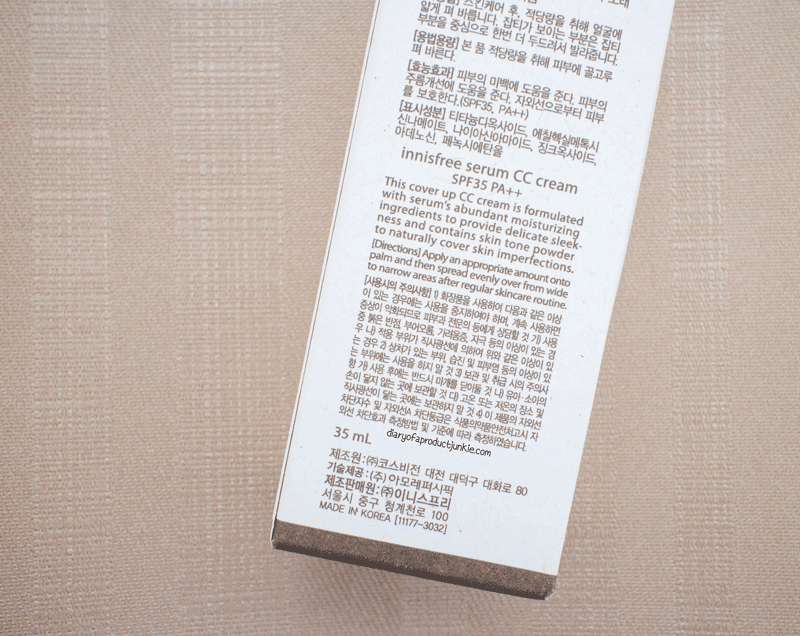 The CC cream is packaged in a separate box that is printed using soy ink, so it is environmentally friendly, I guess. The box feels like it's been recycled as well, thumbs up for looking out after the environment! The sides of the box gives information about the product in point form. Told 'ya about the Jeju thingy! I can't read the ingredients, but I'll just leave the photo here, just in case some of you can read it. The cap itself is quite secure and sturdy, another plus point there! I don't have to worry about it spilling all over my things when I travel with it. 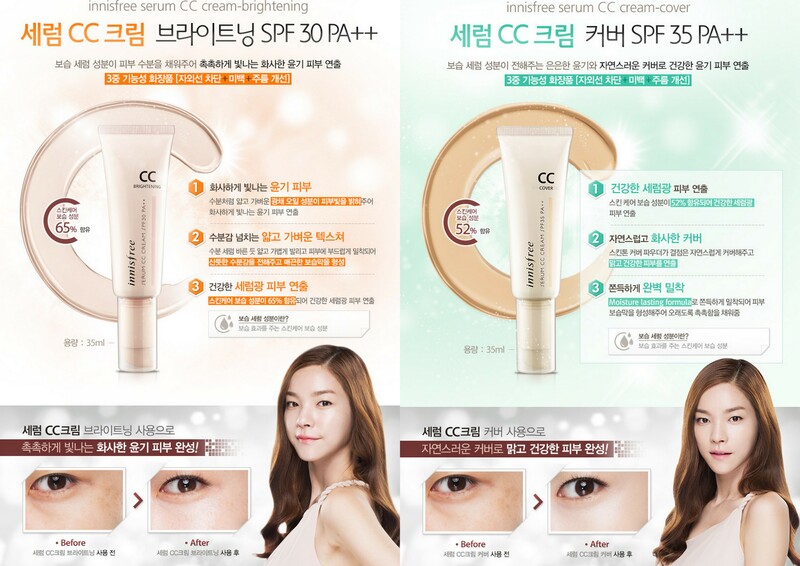 There are two color options from the Serum CC cream line, the other one being 'Brightening'. I chose this one because it doesn't look as white as the other one. I'm a bit paranoid that if I use a light base, it'll look different from my neck. Wouldn't want that mask-like-effect on my face. 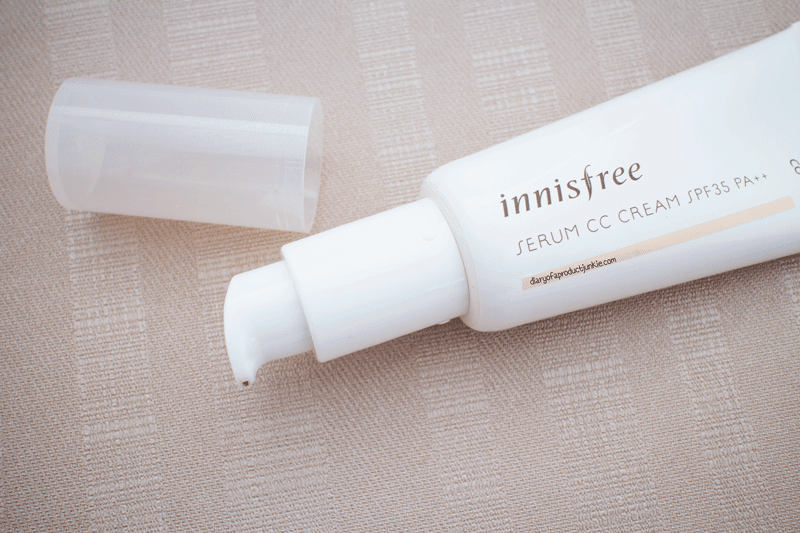 This CC cream doesn't feel sticky or greasy or heavy when I applied it on my face. It gives a slight satin finish, which is a bit glowy, almost similar to healthy skin and not cakey. As for coverage, I'd say it's around light to medium coverage because it manages to conceal my mild acne scars, but not my sun spot. Can you see the glow on my cheeks? Jatuh cinta sama finishnya tapi terhalang sama oil controlnyaa.. Thank you, Van~ Emang mesti diset lagi pake bedak biar oke.